Tuscany is a hugely popular holiday location in Italy. A microcosm of the beauty that Italy has come to symbolise across the world, the region is an enviable mix of lush green fields and stunning stone cities, historical monuments and traditional labours. In the summer, Tuscany is awash with tourists searching for that beautiful Mediterranean climate, with the plentiful beaches along the region’s west coast full of people looking to make the most of what this beautiful country has to offer. However, people are now starting to realise that an incredibly enjoyable and fulfilling holiday experience can be had in the winter months in Tuscany, also. With fewer tourists on the streets, winter is the perfect time to discover a more natural and intimate side to Tuscany that would otherwise be missed in the holiday season! If you’re thinking of spending your winter holiday in one of our luxury Tuscany villas, then you’re in luck, as there are so many things to discover during the colder months in this fantastic region! 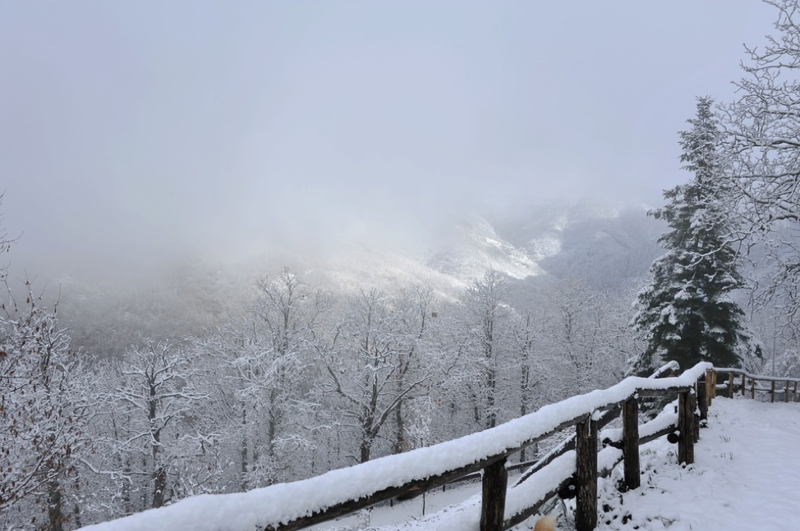 The temperature in Tuscany around December can frequently drop to around zero degrees, and while snow rarely sticks at sea level – although it can during bad weather – the region’s mountainous areas are often awash with snow, turning the once green region into a white winter wonderland! It’s no surprise, then, that Tuscany in the winter is a popular location for skiing holidays, with hundreds visiting the region’s many different peaks to take part in one of the most popular winter sports in the world. However, the thought of tight uniforms and expensive equipment should not put off people who simply want to witness these beautiful locations. Armed with warm clothes and trekking boots, you can enjoy a pleasant day on foot exploring the snowy peaks of Tuscany during the winter months. If the thought of walking around in inches of snow is sending shivers down your spine then don’t worry, Tuscany has just the thing to warm you up. The region is blessed with many thermal baths that are popular attractions for locals and tourists alike during the winter months. These naturally warm springs come in a range of different styles that suit all types of visitors, from the free-to-public hot springs in Petriolo to glamorous spa towns such as Monsummano Terme where you can receive a range of relaxing treatments that are guaranteed to leave you feeling as good as new! Festivals are a common occurrence throughout the year in Tuscany, and winter is no different. Often these festivals have ties to ancient beliefs, and for Tuscans, in the cold, dark winter months the importance of the sun to their lives comes into even sharper focus. This is why during the winter the region of Tuscany is full of local festivals celebrating the sun, with most of them involving a large symbolic fire or, in some cases, even explosions! Wherever you’re staying, look out for local events like these, often referred to as either “Fiaccolata” (torchlight) or “Luminara” (candlelight) – although local festivals can also be named after famous local figures. Spend Time Inside Tuscany’s Many Attractions! Often when visiting Tuscany during the summer months, tourists can become so fixated on the beautiful climate and seemingly constant sunshine that they often forget to visit the wealth of attractions the region has to offer. While locations such as the Leaning Tower of Pisa, Florence’s Cathedral and the region’s many beaches are all fantastic places to visit, it’s easy to forget just how vital Tuscany is in Italian culture, both in the past and today. 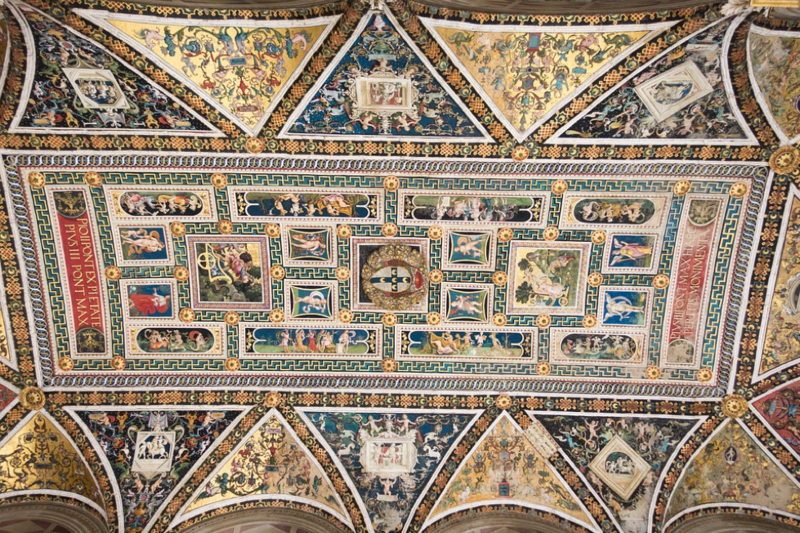 From the art galleries of Florence to the Piccolomini Library in Siena, the region will leave you spoilt for choice regarding indoor activities full of Italian culture. If you’re looking for a more modern activity, then the exquisite modern opera house in Florence may be the perfect evening activity for you when it begins to get too cold on the balcony outside. Tuscany is a region that can leave you spoilt for choice, and that is just as true during the winter months as it is during the popular summer holidays. Exploring Tuscany in the winter will allow you to discover a different side to this vast region, one that could give you a deeper appreciation of Italy as a whole.